Scholars and policy makers have devoted growing attention to innovative entrepreneurship, i.e. the development of new products/services or new methods to produce/deliver existing goods at a lower cost (Baumol et al., 2007). Academics have centered their investigation on the entrepreneur? and firm?level characteristics that facilitate the identification and exploitation of innovative business ideas (Zahra and Wright, 2011; Autio et al., 2014), whereas policy circles (e.g., OECD, European Commission) have focused on the role of innovative entrepreneurship in favoring new jobs creation and economic growth. Despite these efforts, there is still a rather poor understanding of innovative entrepreneurship along several dimensions. First, the definition of innovative entrepreneurship is still quite fuzzy (Low & Isserman, 2015). Second, extant literature lacks widely accepted measures of innovative entrepreneurship. As a consequence, current works provide incoherent figures on the size of the phenomenon: the share of innovative ventures on the overall number of new venture ranges from less than 10% to about 50%, depending on the measure used. Finally, there is a compelling need for research about the determinants, the outcomes, and the economic impact of innovative entrepreneurial ventures. Moving from these premises, the idea and scope of this two?days conference is to bring together the ongoing research and policy debate on innovative entrepreneurship. Discussions will provide an overview of the trends, challenges, and policy implications with the aim of improving our understanding of this complex phenomenon. Paper presentations will be enriched by keynote speeches of leading scholars in the field. David Hsu is the Richard A. Sapp Professor and a Professor of Management at the Wharton School, University o f Pennsylvania. He graduated from Stanford University with undergraduate majors in economics and political science. He received his master’s degree in public policy from Harvard University, followed by his Ph.D. in management from the Massachusetts Institute of Technology. 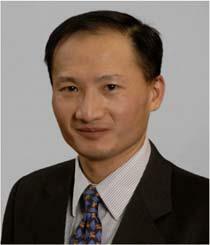 Hsu’s research interests are in entrepreneurial innovation and management. Within that domain, he has investigated topics such as intellectual property management, start-up innovation, technology commercialization strategy, and venture capital. His research has appeared in leading journals such as Management Science, Journal of Finance, Strategic Management Journal, and Research Policy. He is past department and associate editor of Management Science, and current associate editor of the Strategic Management Journal. In 2008, Hsu was awarded an Alfred P. Sloan Foundation Industry Studies Fellowship. The conference aims at involving a selected group of scholars. The participation from scholars at the Assistant Professor level, at the post?doc level, or at early stages of their career is particularly encouraged. PhD candidates at the final stage of their dissertation are also encouraged to attend. Participants are invited to submit a full paper or an extended abstract and their CV. Full papers should be no longer than 30 pages, including figures and tables. Extended abstracts should be no longer than 3,000 words and clearly specify the objective of the study, its approach and results. The CV should indicate the PhD dissertation topic for PhD students and the main research projects for research assistants and post?doctoral researchers. Full papers/extended abstracts and CVs should be submitted by email to the following address entrepreneurship-workshop-dig@polimi.it as PDF files. Via Lambruschini 4/b, 20156, Milano (Italy). EU-SPRI members: the conference is free of charge. The organization will cover accommodation for two nights, lunches, conference material and the conference dinner. Accommodation for early career delegates will be provided close to the conference venue in the university accommodation. Non EU-SPRI members: the conference fee is 200 € (includes conference material and lunches; conference dinner not included). Participants from outside EU-SPRI forum are advised to book their accommodation in Milan.